A charter to Croatia is more than a holiday to sun dappled beaches, azure waves, and stony cliffs rising to meet towns built of medieval architecture. The country of Croatia demands a high standard of living, and despite its size, the country has proven itself an integral member of the EU, UN, Council of Europe, NATO, WTO, all while improving upon its own infrastructures, education, economy, and industries. When you charter to Croatia, you become a guest to a proud country, one that has been inhabited by the Croats since the 6th century. Croatia’s coast sits on the Adriatic Sea. The nation borders Slovenia to the northwest, Hungary to the northeast, Bosnia and Montenegro to the southeast, and Serbia to the east. 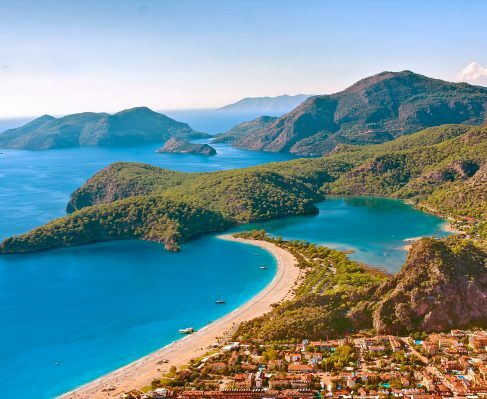 Visit its centuries-old, red roofed buildings and seaside villages, its stretches and curves of white beaches, white-tipped mountains, forested highlands, and its protected lands, home to strange and mystifying creatures. As you travel across its diverse and shifting landscapes, you’ll find pieces of its complex history to its recent autonomy, in the form of museums, ruins, fortresses, medieval walls, palaces, castles, churches, shrines, and in entire towns themselves. Diocletian’s Palace, a ruin from the ruling days of Roman emperor Diocletian, now stands as a well-maintained and impressive sight to see in the modern city of Split. Also in South Croatia is Rector’s Palace, the once formidable seat of Rector of the Republic of Ragusa, a gorgeous Gothic style pale stone fortress with touches of Renaissance and Baroque. The Church of St. Donatus sits humbly in Zadar, Croatia, with Byzantine architecture dating back to the 9th century. Central Croatia gifts curious, historically hungry travelers with Pula Arena, an extremely well preserved Roman amphitheater, as well as the Euphrasian Basilica, a perfectly maintained example of early Byzantine work in a sprawling episcopal complex. South Croatia is famous for the Walls of Dubrovnik, defensive stone structures erected in the Middle Ages that once proudly guarded the now-city of Dubrovnik, and perhaps are the best example of their kind. Inside the city is St. Blaise’s Church, whose Venetian architecture draws tourists of all sorts to gaze upon its ornate carvings and intricate designs.In North Croatia, you’ll want to see Trakošćan Castle, built in the 13th century, perched on a picturesque hill overlooking a small lake. Take a day trip to the west coast of the peninsula, Istria, and visit the historical towns that dot its coastal stretch. Visit Pula to fuel up on bacalao cooked with potatoes and fresh vegetables, or sweeten your mouth on octopus salad with raw scampi, or perhaps some Adriatic sea bass with baked polenta and fried peppers. 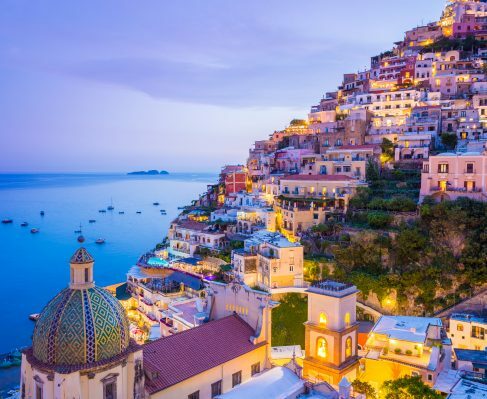 Cliff dive, the weather will certainly call for it, or go sailing and feast your eyes on pastel colored houses lining the shores with glittering cobalt waters between, then consider diving a few wrecks, or just walking along the preserved beaches. In Kvarner, you’ll find yourself in the midst of the highlands, with looming mountains, melting into bright green forests, and open fields. Visit Plitvice Lakes National Park for a day of hiking, or the island of Rab, where a medieval festival is hosted each year. Warm Opatija is the oldest tourist resort in Croatia, and for good reason, let it welcome you with its hospitality and divine food. 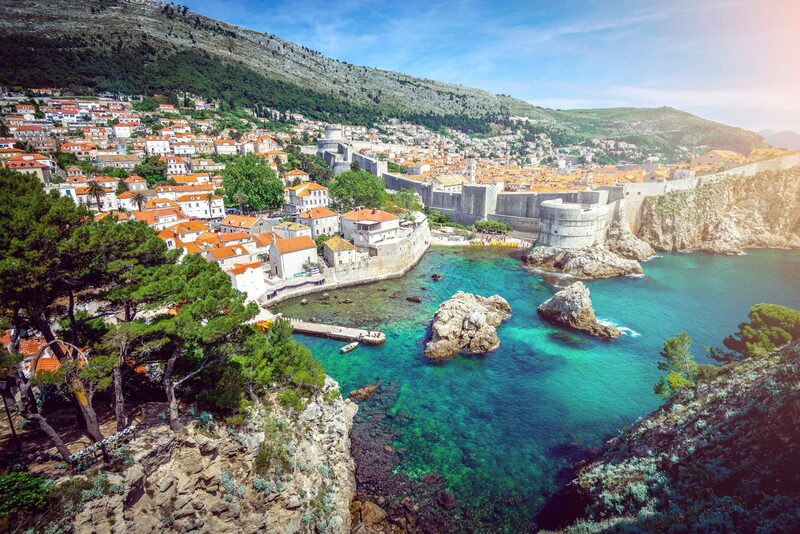 Climb Croatia’s mountains, hike its manicured trails, visit the nation’s castles, fortresses, palaces, and museums, a tribute to its hard-won past, take a day trip to its many breathtaking islands, relax at spa, kayak and sail its cobalt waters, walk its beaches, and travel the old towns, eating the best of its food along the way. Croatia is a nation overflowing of natural phenomenon. Lakes, mountains, beaches, islands, highlands, all dotted with intricate architecture from centuries ago. 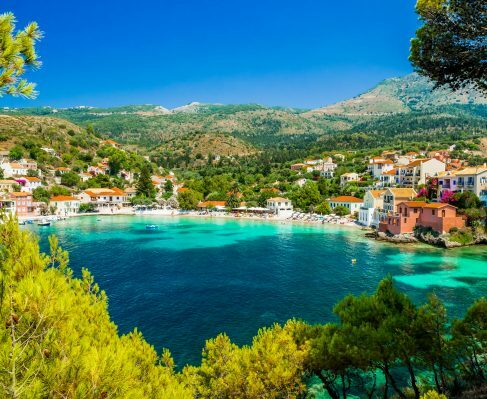 Croatia never ceases to amaze, making it one of the most frequently visited countries in the world, a fact the nation has earned and worked for. One charter to Croatia will be enough to invite you back for a lifetime of travels across its dignified, changing landscape.